I found CrossFit in 2006, and I still find it every week day at 4pm. While today doesn’t look exactly the same as the early days, I’m still in love with constantly varied functional movements performed at relatively high intensity. Steve competing at “sectionals” in 2009. Long before there was a CrossFit GAMES OPEN. My passion for CrossFit has always been magnified and multiplied by sharing it with the athletes of Steve’s Club. Before we had a space, I trained the kids of Steve’s Club in a park with whatever equipment I could fit in my car. We went hard with each other and for each other. A few years later I opened CrossFit Tribe, a for-profit affiliate. The athletes of Tribe were happy to share space with the kids. The seeds of Steve’s PaleoGoods were planted as we manufactured the early PaleoKits and started to sell them online to raise money for Steve’s Club. I loved every minute of those early days, but once Steve’s PaleoGoods exploded and one baby turned into three children, I had to simply my life to make time for my family. 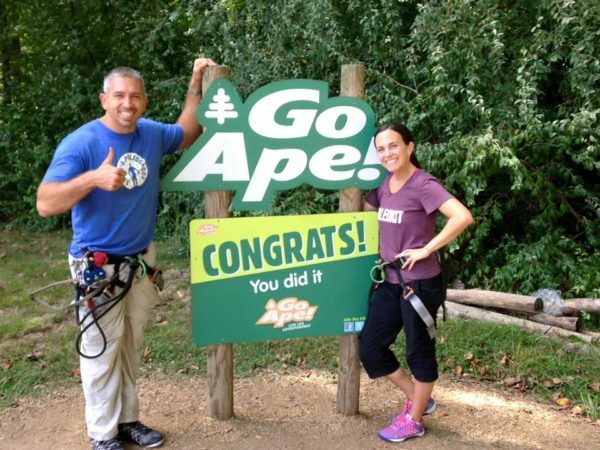 I decided to focus on growing Steve’s Club National Program and Steve’s PaleoGoods. Even while trying to juggle three businesses, I made time for CrossFit. I’d workout wherever I had to, mostly in my box but if I was on the road I’d throw down in hotel rooms and parking lots. I owe a huge debt to the CrossFit community, it helped me turn one Steve’s Club into 30 and the PaleoKit into 50 paleo products perfect for busy people on the go. 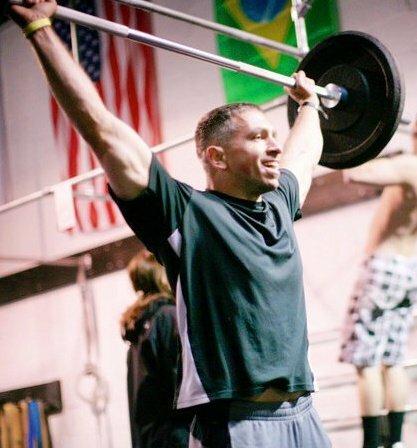 CrossFit started as a gritty garage gym fitness movement and is now a household word. Everyone knows someone who CrossFits. And even if you don’t participate in the sport, you know something about it because someone has droned on and on about it to you at some social function or work event. 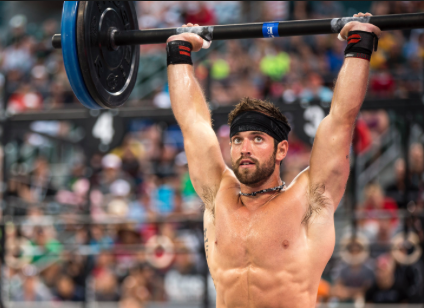 Rich Froning was named the World’s Fittest man in 2011, 2012, 2013 and 2014. The face of our sport has changed tremendously over the past ten years. Competition is what arguably what has changed the most. In 2009, I took a bunch of athletes to sectionals. The top 30 went onto regionals. Lucky for the girls there were only 30 females there! Now there’s thousands of women in the same region. CFHQ has done a brilliant job of growing the OPEN and making our sport inclusive of all. Even more astounding than the volume of people that participate in the OPEN is the level of talent that rises to the top. Both male and female athletes are getting stronger, fitter faster as women throw around for reps what used to be a man’s 1 rep max. Many of these athletes embrace fitness as their full time job, and it shows. They are ready for whatever Castro throws at them, and they double the reps that decent athletes log for the same workouts. Efficiency in our sport is now an exact science, and recovery has become as serious as training. My idea of recovery used to be a hot shower and a good steak. But today, athletes will do anything and everything they can do to keep their bodies healthy. Giant hip boots that blow up like balloons, stimulant machines and laser lights are now the norm, and helping people recover faster than ever before. Athletes are beginning to understand that their recovery is an integral part of their success. Top athletes don’t train harder, they train smarter. Even us average Joes are watching the recovery game of the top dogs. When a body part talks to me now, I listen. I make time for massage and recently treated a back strain with LightForce laser treatments to reduce inflammation. I used to view small injuries as something annoying to work through. Now I look at them as something that could potentially sideline my fitness. That’s not an option. After a decade of shoulder pain, I finally decided to stop doing muscle ups, and that doesn’t make me less of an athlete, it makes me more of one. The muscle up used to be a coveted skill. Just yesterday, ten rounds of strict muscle ups, handstand push ups and heavy kettle bell snatches were announced for Event 2 of Regionals. There’s no doubt that the athletes who have made it this far will be prepared for the test, and those who rely on kipping strength will be exposed. I remember the days when strong athletes could make it as far as the GAMES lacking a high level skill when sectional/regional programming worked in their favor. Those days are LONG GONE. Athletes aggressively attack higher level skills like handstand walks, peg board climbs and strict deficit handstand push ups. The only thing that is certain about the future is that programming will continue to push the envelope, Rogue will continue to innovate and top tier athletes will rise to the challenge while average ones will still have a place on the competition floor. No matter what your skill level, you can play. My favorite part about the evolution of our sport is that anybody can do it. Sure we said that in the early days, but it was not always true. Main site hero WODs have given way to more manageable programming at boxes all across the world. Our global community has done an amazing job celebrating the common man attempting to do an uncommon workout. At many boxes, scaling is the norm. Steve and his wife Kristen. This notion of mainstream has come full circle for my family. For years I tried to get my wife to CrossFit, who loved our community but had ZERO desire to touch a barbell. Just recently she PRed her back squat at 100lbs, which is about bodyweight for my gal. Kristen joined forces with a workout partner who loves CrossFit, and she has learned to love it as well. Which brings me to the one thing about our glorious sport that remains exactly that same. The kinship we find together, the inspiration we draw from each other and the bond that is found between athletes on the mats of CrossFit affiliates around the world. That’s what keeps people coming back. It’s what drives me to grow Steve’s PaleoGoods so we can reach more kids with CrossFit through Steve’s Club National Program. The physical strength and team bonds developed through CrossFit are powerful change agents—and that will never change. Four Free Bars on May 4th!